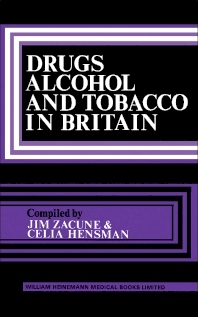 Drugs, Alcohol, and Tobacco in Britain focuses on the use and misuse of drugs, alcohol, and tobacco and the British response to these substances. The manuscript first tackles alcohol production, sale, and control and production of drugs. Discussions focus on licensing laws in England and Wales, taxation, home brewing and distilling, detailed incidence of liquor duties, illicit production of alcoholic beverages, overseas trade, and tied-house system. The book then elaborates on the control of drugs, including international control, Dangerous Drugs Act, 1965, United Kingdom laws, and control of specific psycho-active drugs. The publication examines the "normal" use of alcohol in Great Britain, medical use of drugs, and a historical perspective of alcohol abuse in Great Britain. Topics include medical use of cannabis, amphetamines, and opiates, student drinking, medical use of alcohol, expenditure on alcohol, and alcohol consumption. The text then takes a look at the misuse of alcohol in Great Britain, non-medical use of cannabis, non-medical use of Lysergic Acid Diethylamide and hallucinogenic drugs, and non-medical use of hypnotics and tranquillizers. The book is a valuable source of information for readers wanting to study the use and abuse of drugs, alcohol, and tobacco in Great Britain.